Having established trees that cast shade over a large area of you yard is almost sure to create issues for the most common breeds of warm season grass. If your turf dies out in a heavily shaded area, take that as a hint, instead of re-seeding or re-sodding in shady areas. In addition to being an expensive and ultimately futile move, it can have long term negative effects to the roots of the trees that create the shade. The first alternative is to find a good native ground cover that can replace the grass in the shady areas , but still maintain a walk-able green yard. There are several options that are not only shade tolerant but drought tolerant as well. The second alternative is to turn the area under the tree into a bed. 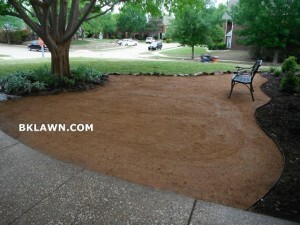 This would allow you to use the area for flowers or decorative mulch. 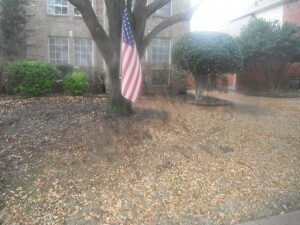 Mulching would be highly recommended to protect the root system and help retain moisture for the thirsty tree. ← It’s Time for Spring Cleaning Indoors. And Spring Clean-ups Outdoors. Visit Bill Kennedy Landscape's profile on Pinterest. Bill Kennedy Landscape shared an album. Bill Kennedy Landscape added 15 new photos.